Overturned truck shuts down Woodhaven Rd. : Matt Pellman reports during Action News at 6:30 a.m. on December 7, 2017. CORNWELLS HEIGHTS, Pa. -- An overturned tractor-trailer carrying bottles of vodka has caused the closure of a busy ramp on the border of Northeast Philadelphia and Bucks County. The ramp from Woodhaven Road eastbound to I-95 southbound is blocked as the truck remains on its side. Watch video from Chopper 6 over a crash involving a tractor-trailer hauling vodka on Woodhaven Road on December 7, 2017. It happened around 4:45 a.m. Thursday in Cornwells Heights. 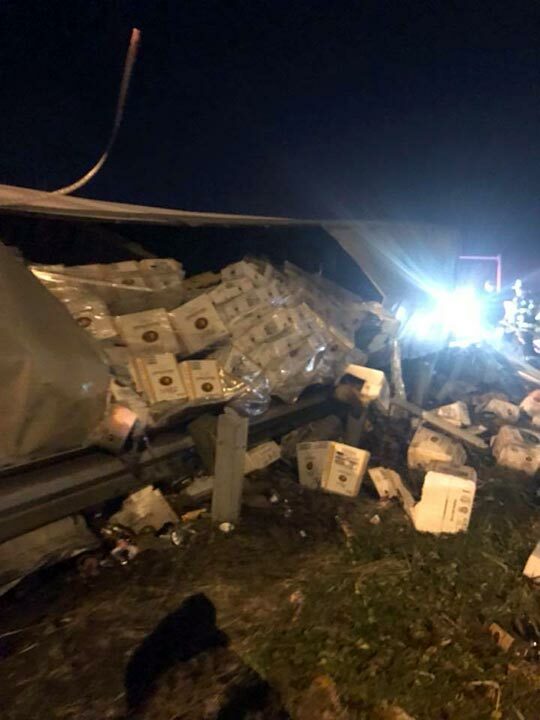 Boxes of vodka aboard a tractor-trailer that crashed on Woodhaven Road on December 7, 2017. 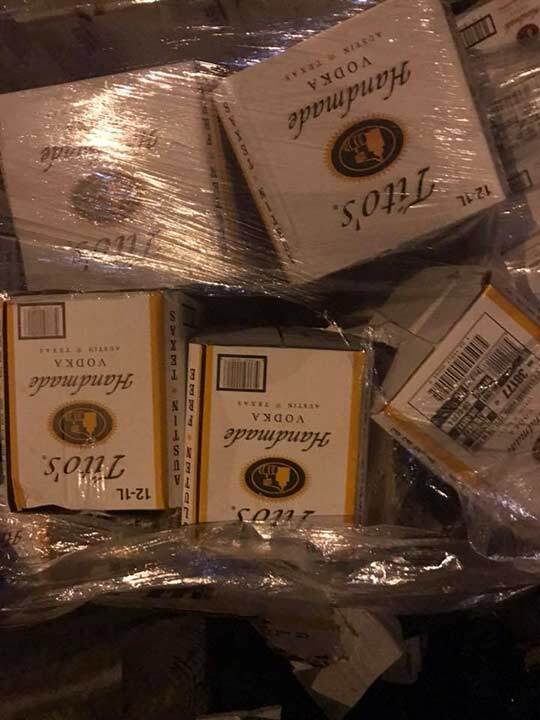 Action News is told the truck was carrying boxes of bottles of Tito's Vodka. Some boxes fell out of the truck and onto the roadway. Drivers should take Street Road as an alternative route. Overturned truck shuts down busy I-95 ramp. Matt Pellman reports during Action News at 5 a.m. on December 7, 2017.